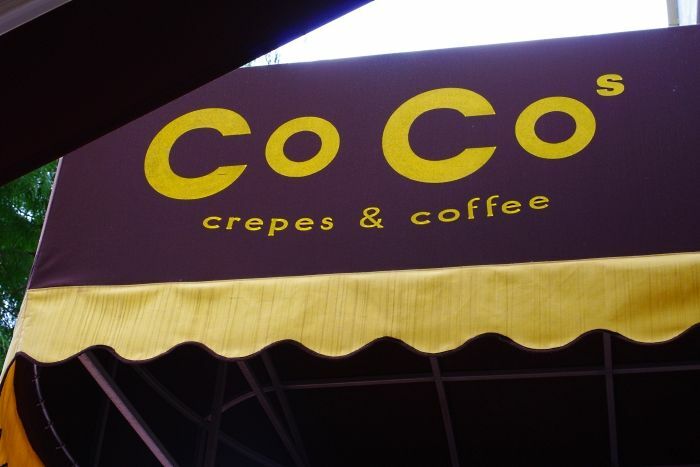 I've never been a big fan of crepes, until I was introduced to Coco's. Dissapointingly, I had my most bleh crepe in Paris. So having my first bite of the smoked salmon, cream cheese, baby greens, and red onion capers savory crepe at this Houston establishment was quite a pleasant surprise. To this day, I still swear by the salmon crepe. With a perfectly sweetened soft outer shell mixed with the flavorful sourness of the capers and buttery texture of the raw salmon, this delicious bad boy really gets my mouth watering. The sweet crepes are not bad either. The first time I stopped in, I ate both a savory and sweet crepe. Bad idea. I was overly full. I've now learned to reduce my crepe intake to one a day. A true life lesson from when your eyes are bigger than your stomach. 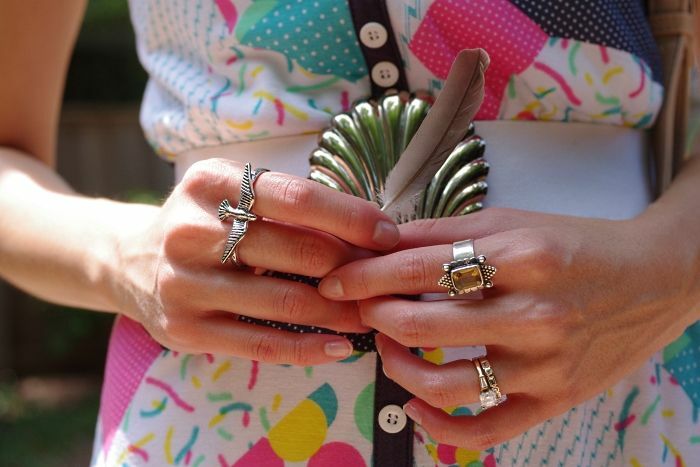 Also, don't forget to enter my Marc by Marc Jacobs earrings giveaway which ends this Friday! i love crepes, but not with fish~! another drawstring bucket bag? i needa hit up zara! Oooooh, I love Ur wedges! i love your colorful look! 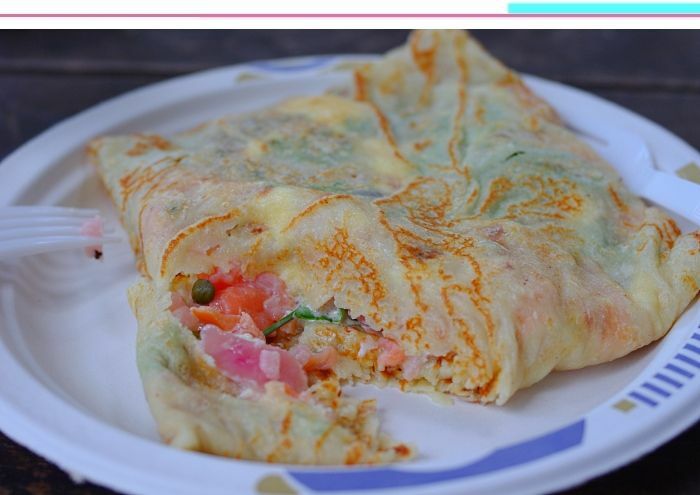 Have you tried http://www.yelp.com/biz/melange-creperie-houston? I heard it's good, but only open for lunch so kind of hard to find a time to go! Also, Flip Happy Crepes in Austin is good too! cute print, and they match the shoes perfectly! 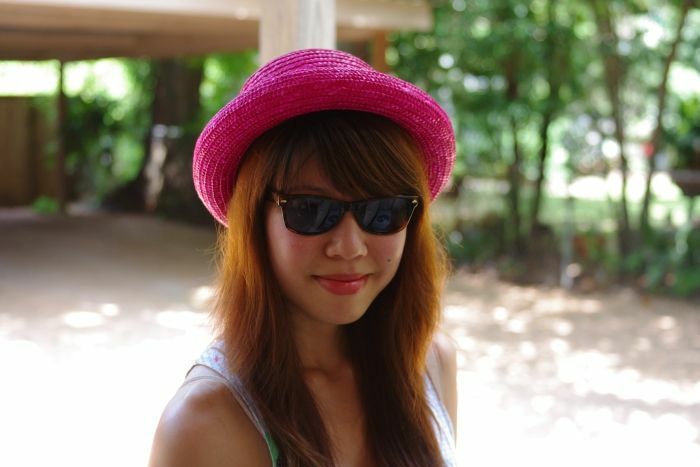 A little pop of pink can make all the difference sometimes. Great dress! I love it with the shoes! I love your dress, very cute. Ugh, Zara, so great! I love the color combinations...the mention of crepes doesn't hurt either! This look is so BRIGHT!!!! an explotion of colors! Ken: You'd be surprised how tasty the fish crepes are! grace: Yes, I think the bucket bag shape is my favorite these days. Roomy enough to carry my camera and super versatile. Everything separately is great, and together even more splendid!!! This outfit is GREAT! Love the dress, love the shoes, love the hat! That looks so delicious...and your rings rock! oh i love crepes! this one looks delish!! yum! Also, love how colourful your dress is!